We couldn’t stay away without bringing it into our niche. Why? 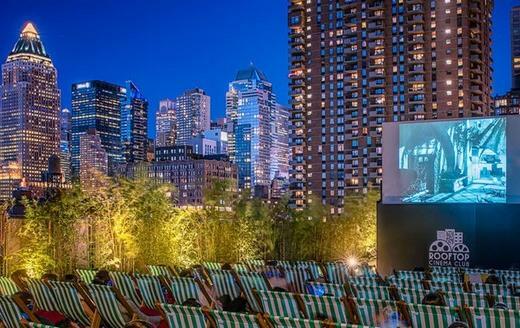 Because it could turn out to be a totally new and mesmerizing experience. 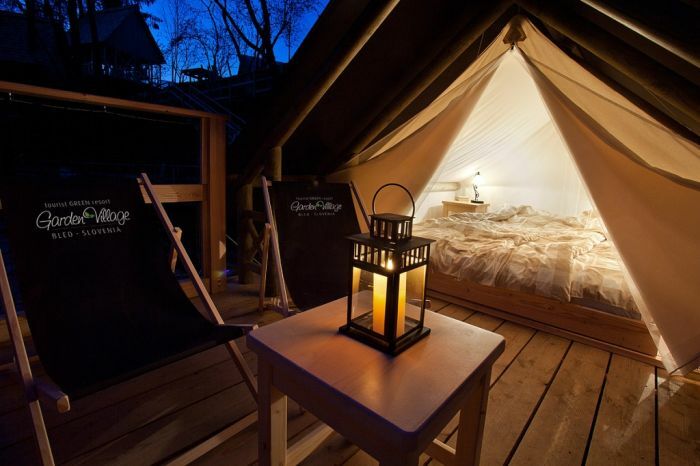 Some of you probably haven’t heard about glamping, in which case we are happy to surprise you with some of the best places in Europe where you can taste nature in a more “relaxing” way. 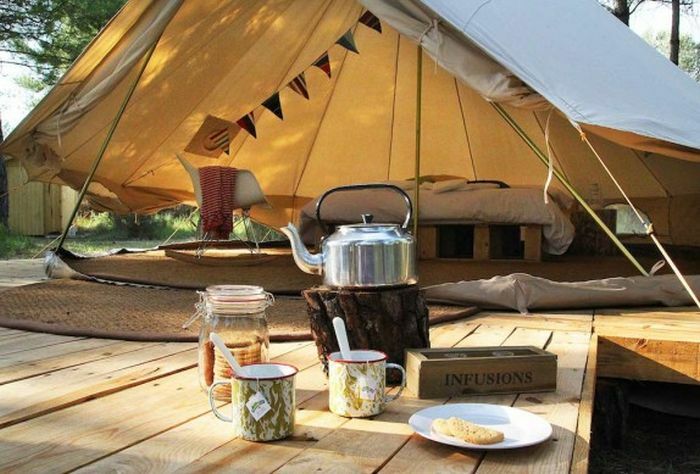 If you love spending time outdoors, but are a bit reluctant to carrying your tent and placing it randomly in the middle of nowhere on bumpy ground, then glamping might be for you. Some define this new trend as “luxurious camping”, but we like to see it as a comfortable way to witness nature thrills up close. Founder of GlampingHub.com David Troya explains that three are three elements that make glamping unique: no lobby in sight (nature right outside your door), special type of structure and the basic comfort offered by a hotel. 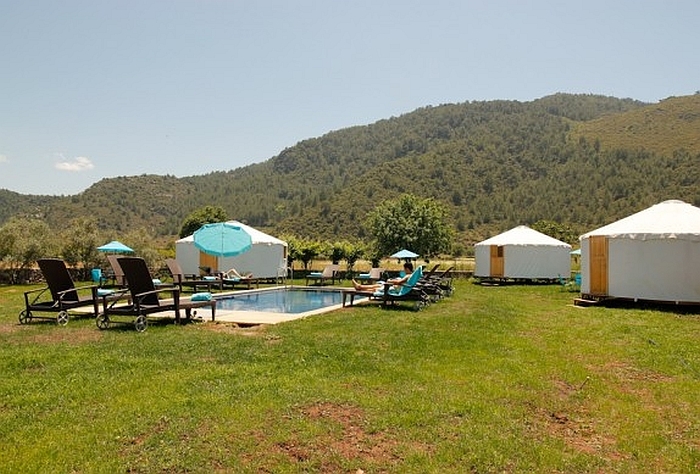 Forest Days is a camping site located in the rural Catalunya, where the fertile farmlands to the south meet the imposing Pyrenees mountains to the north, at approximately one and a half hour by car from Barcelona. 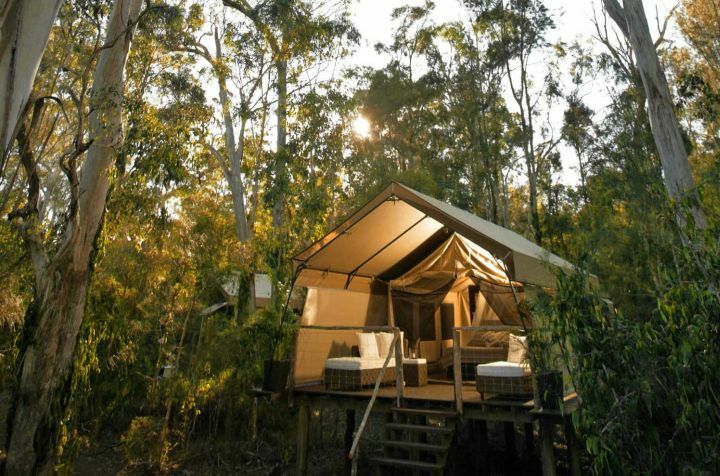 The canvas tents are furnished with a massive super-king sized bed and some have their own eco-bathroom and a solar shower. 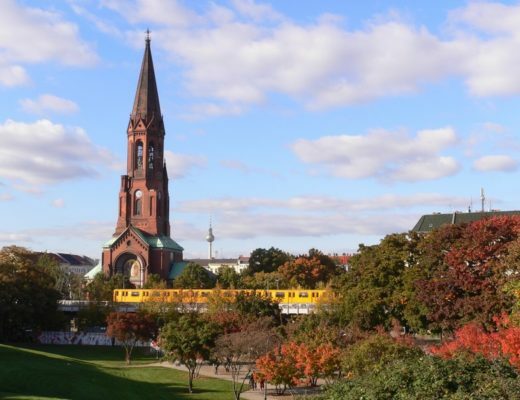 From enchanting and historic towns and villages with incredible gastronomic choices, to adventure sports of every variety, right on your (tent) doorstep. Prices start from 70 Euros / night for 2 people including a healthy breakfast delivered straight to your tent door (minimum 2 night stay). Cascais Oasis is just 15 minutes away from Lisbon and 4 km from the centre of Cascais Village, in a remote green area from where you can experience hiking through the numerous pathways within the Sintra-Cascais Natural Park or enjoy the sun on one of the nearest beaches Guincho, Sintra and Cabo da Roca. 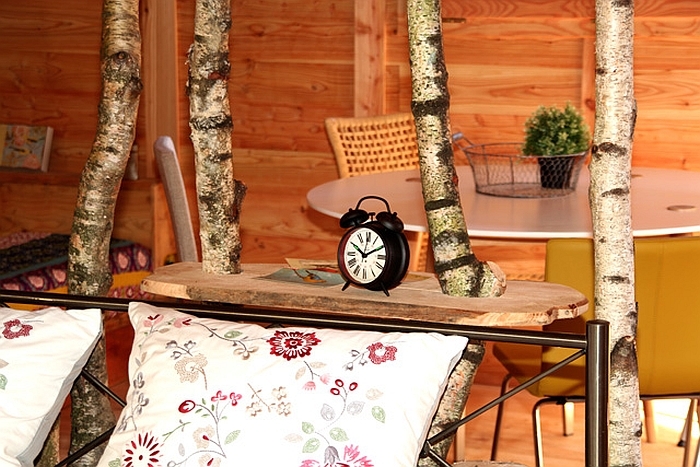 The hosts offer a variety of accommodation such as wood cabins, tents or tipies, each one of them having its own design theme. 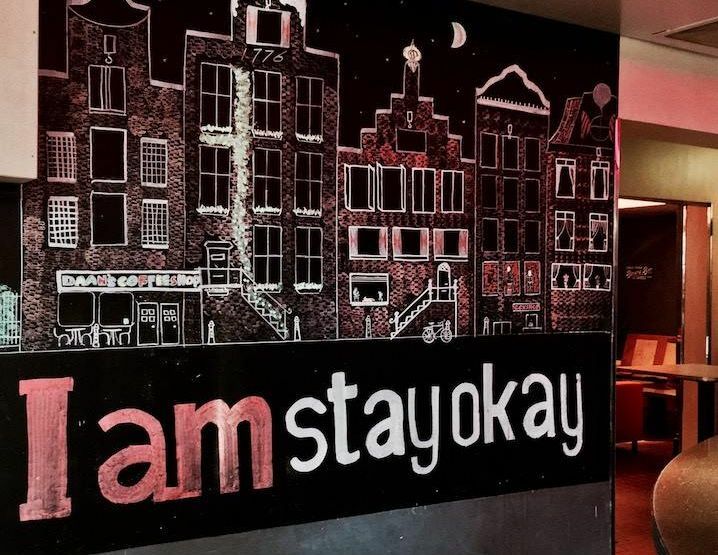 Prices start from 70 Euros/night including breakfast and you can book for minimum 3 nights. Cabaña Txantxangorria (one of the Cabañas en los árboles) is lost between the branches of a remote forest in the South of Biscay, Basque Country, Spain. 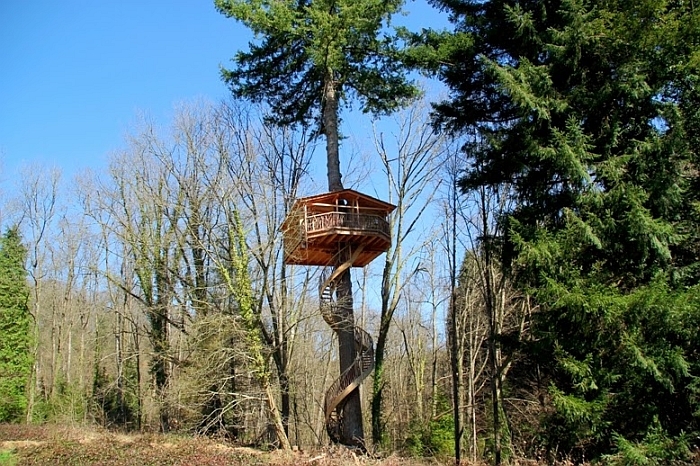 The little house embraces a tree at 17m above ground and the access is possible through a wooden spiral staircase. It is a perfect place for nature enthusiasts, for those who are seeking to experience wilderness with its thrills and its moments of silence. The prices start from 165 euros/night in the low season. 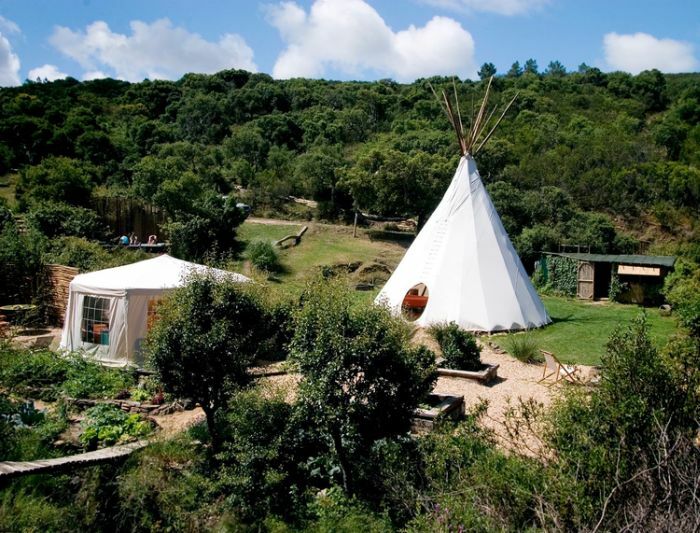 Tipi Valley is an eco farm situated on the shores of Atlantic Ocean, near the popular surf beaches of Algarve, Portugal. 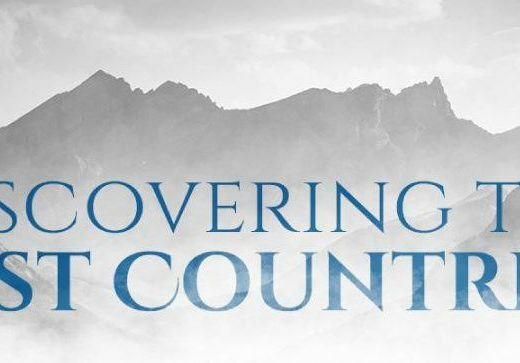 If you want to experience a rustic way of life, this is the chance to do it. 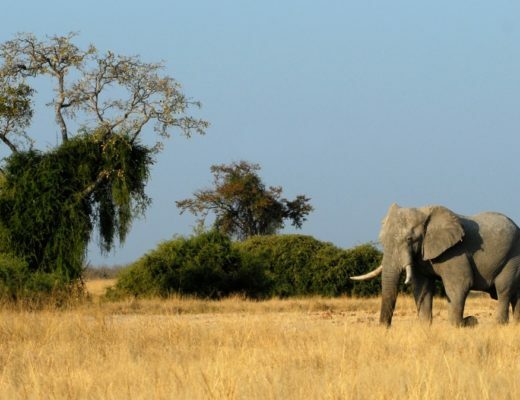 They provide accommodation for groups, couples or solo travelers who are in need for a quiet and relaxing environment. The facility lies amongst 16 acres of native cork trees and provides an effective model for sustainable living, including organic gardening. Visitors here can attend daily yoga classes, morning and evening, daily beach trip with fully kitted surf lessons and activities. The prices start from 595€ for 5 days, including the full surf and yoga program with accommodation and meals. Avalon Steppes is an idyllic campsite located in Kayaköy Village, close to Fethiye and Ölüdeniz, two of the most important travel destinations on the Mediterranean shores of southern Turkey. Each yurt is built on a raised wooden platform, well equipped and individually decorated with its own en-suite wet room. 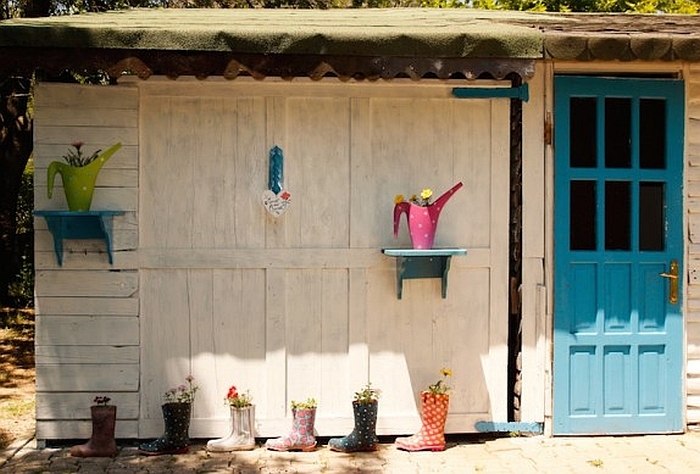 There are four yurts, each of them being designed after the interiors of palaces such as Yildiz Palace, Buckingham Palace, Kensington Palace and Topkapi Palace. Prices start from 65 Euros/night in low season including breakfast and you can book for minimum 2 nights. 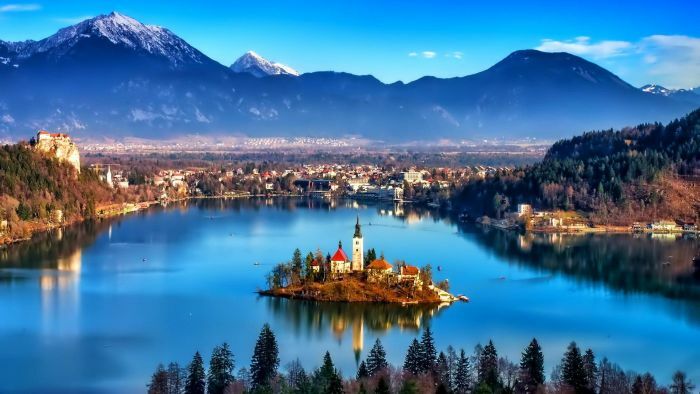 The Garden Village is situated near the wonderful lake in Bled, at only 55 km away from Slovenia’s capital Ljubljana. We have wrote about this place a time ago because of its picturesque environment, with the Alps nearby, dense forests and a mysterious pilgrimage church that stands on a little island in the middle of the lake. This glamping site is an entirely ecologically and innovatively designed complex, built over an abandoned gardening space. The resort promotes sustainable practices, having their own electricity resources and organic farming. 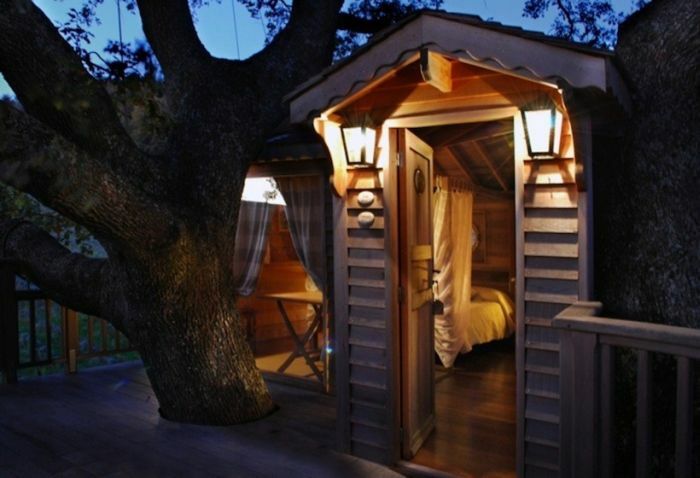 Here you can choose to sleep in tree houses, pier tents and glamping tents that are fully equipped for an extra comfort. 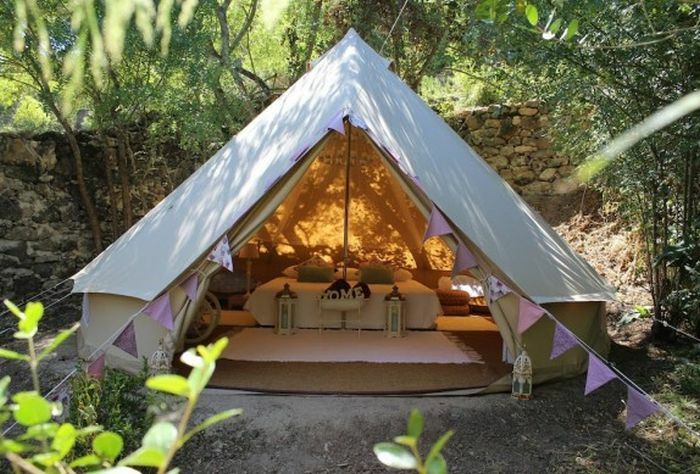 Prices start from 80 euros per night in a pier tent and 160 euros in a tree house or glamping tent. La Piantata is a touristic resort in Arlena di Castro, a commune located between Rome and Tuscany, in central Italy. Placed in the country side amongst 12 hectares of lavender hills, the location reminds of those days of freedom, the solitude of childhood when time was stuck in the watch and only the sun had the power to seal the day. 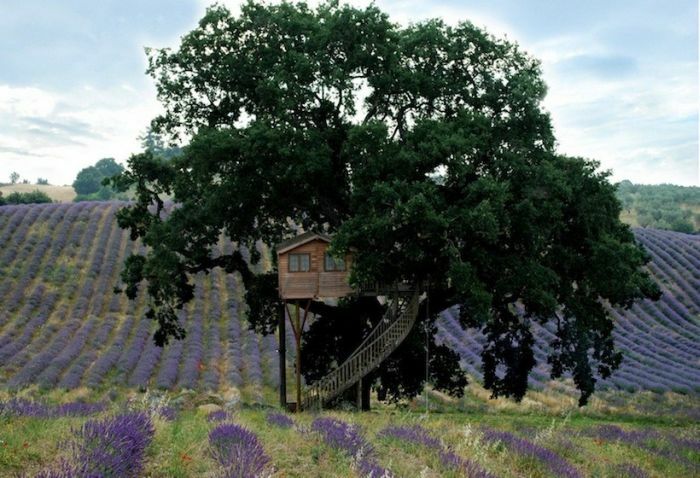 How else could we describe this fantastic tree house hosted by a century-old oak? 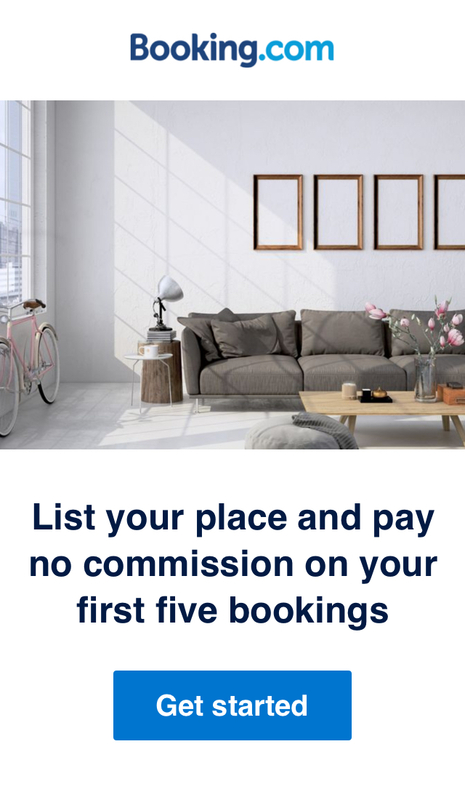 Prices start from 390 euros per night and the breakfast is included. 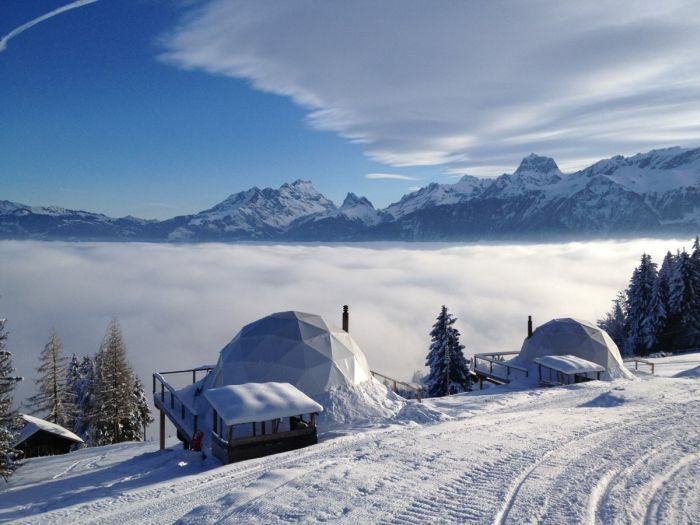 Whitepod Alpine Experience is an eco camp located at 1700m high in Les Giettes in the Swiss Alps. 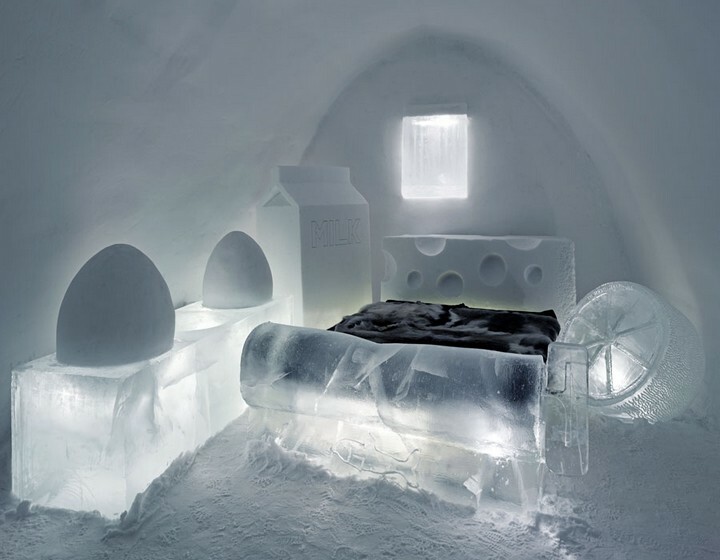 Sleeping in such a place could turn out to be a mesmerizing experience especially for those who enjoy hiking and other high-altitude adventures. 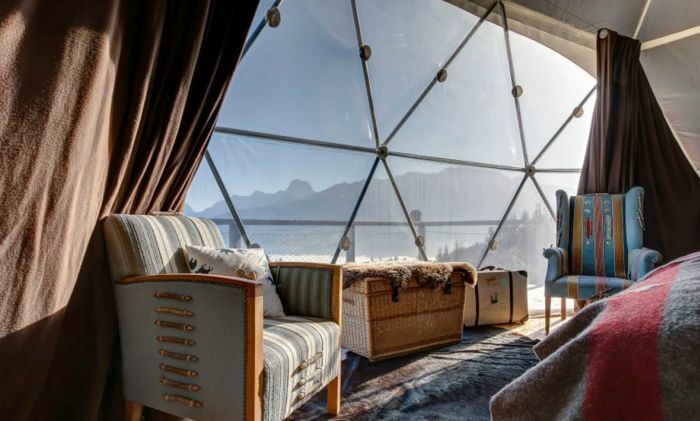 There are 15 geodesic dome pods equipped with traditional furnishings and simple wood burning stoves, each pod is individually decorated and can host up to 4 mountain passionates. 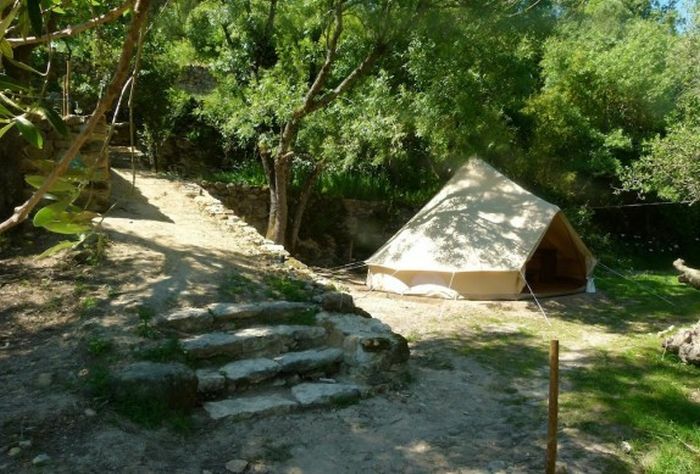 The camp is open all year and the prices start from 250 euros/night. 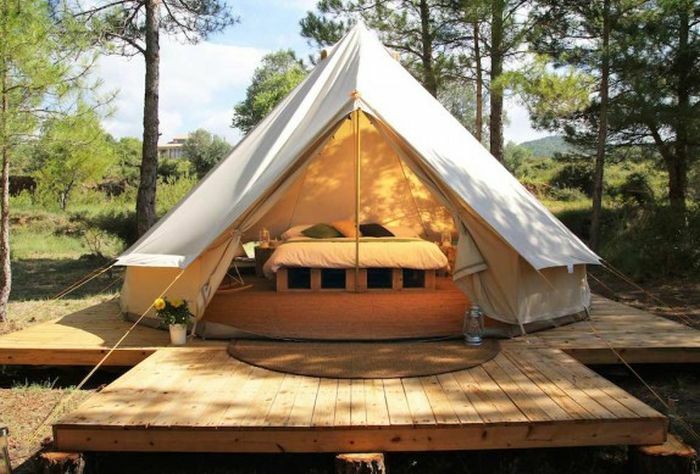 If you like surf camps and Glamping, you should check out Stoke Travel.. I did a surf camp with them in Zarautz, Spain and it was amazing! 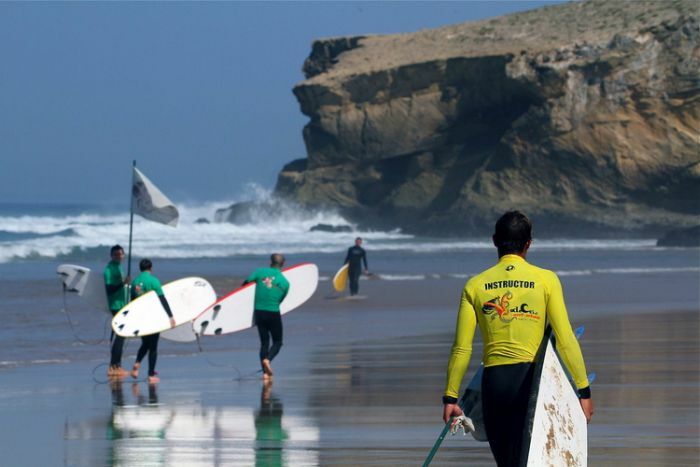 If you loke surf camps and Glamping you should check out Stoke Travel.. I did a surf camp with them in Zarautz, Spain and it was amazing!